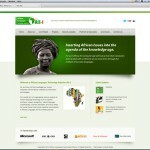 Alt-i is a research and development agency with a mission for taking African cultures into the Knowledge era. 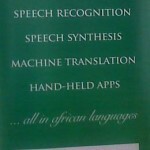 It was setup in 2002 for the purpose of developing the necessary resources that will facilitate the engagement of information and communication technologies (ICTs) in African Languages. Alt-i’s governance is based on a two-tier structure of an Advisory Board and an Executive Management Team. The Advisory Board provides general guidance at the strategic level on the activities of the organisation. The Board is made of eminent scholars with expertise in language, linguistics and engineering. The present Board is chaired by Prof. Akinwunmi Isola, a retired professor of African Languages and Literatures. Other members of the Board include Prof. Francis Egbokhare, a linguist and former Director of The Distance Learning Centre as well as former Head of Department of Linguistics and African Languages at the University of Ibadan; Prof Omotayo Fakinlede, is of the Department of Systems Engineering in the University of Lagos, Nigeria, where he was the Head of the department till 2011. Prior to this, he was the director of Energy Information Systems at the National Energy Commission in Abuja, Nigeria and before that, he was for many years a lecturer in Mechanic Engineering at the University of Ilorin, Nigeria. Dr. Tunde Adegbola as the Executive Director heads the Management Team. He has backgrounds in Electrical Engineering (specializing in Broadcast Technology), Computer Science and Information Science. He is involoved in various advocacy programes relating to African Cultural Identity. Alt-I aims to take African Cultures into the knowledge era, by facilitating development of the neccessary resources that will enable the engagement of all Information Communication Technologies (ICTs) in African Languages. Towards the fulfilment of our objectives, we develop HLT interest in universities and research centres. 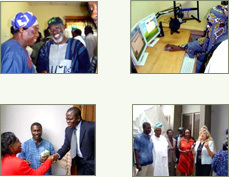 As a direct result of these efforts, a number of post-graduate students at the Africa Regional Centre for Information Science in the University of Ibadan and the Department of Systems Engineering in the University of Lagos have engaged in HLT related research in the Master and Doctoral programmes. In addition, a number of linguistics undergraduates in other universities have also taken up projects in HLT related areas. We are also involved in HLT related curriculum review and design of post graduate programmes in Nigerian Universities. These programmes aim at developing a crop of multidisciplinary researchers with backgrounds in linguistics, engineering and computational sciences with the objective of producing a number of doctoral and Master theses/dissertations in HLT.